This sites offers you my experience to become successful from the first day in your new job. The most important benefit of setting goals isn’t achieving your goal; it’s what you do and the person you become in order to achieve your goal. That’s the real benefit. By setting your goals you design your life instead of just living it. With goals set you get your mind focused. You are able to fade out all the noise and distraction around you and get straight to where you want to get. You can become what you want to become. Tony Robbins calls it “the power of focus” or “where focus goes energy flows”. Thank you for reading this article. It is a pleasure to share my knowledge and experiences with you! By setting a goal you put something tangible in front of you that you can shape, design and touch with your mind. If you want a new car your mind creates a picture in your head that looks real. A picture is something that we can understand. It makes abstract things more real. It makes our goals real. Every day we are distracted by many things as phone calls, sms, social network feeds, news, advertisements, every kind of media, other people. All of these things pull us off our path. They distract us from followong our own way. But, if you have a goal in front of you you are always able to get back onto your path. No matter what distracted you. Goals give you a long term vision of what you desire in life. The same thing happens to me every day. At work, at home, everywhere. That is why I decided to set clear goals for my near and far future. In this article (or series, we shall see), I’ll tell you exactly how I did it and what where my sources of inspiration. Based on discussions I had with people that successfully set their goals, on articles I red and videos I watched about this topic I created my own little process to set my life goals. In total it took me 2 days to go through the full process. The outcome are 31 pages full of hand written text. This text is now the bases for the next steps in my life. It is my plan. It is my profile. It contains my goals and everything what is necessary to achieve them. Now, I’m going to guide you through all these steps. One by one. 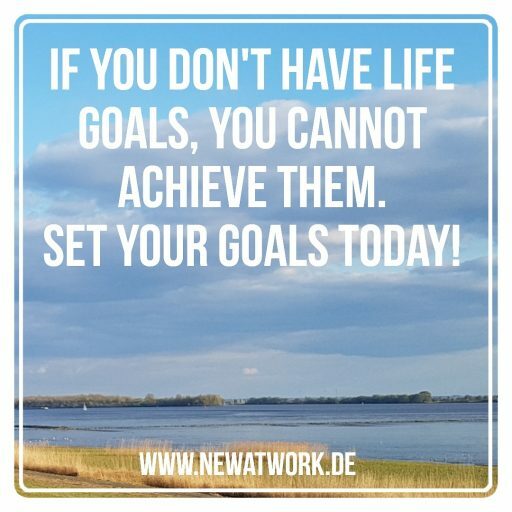 Ready to set your goals? When you start you need to define a clear scope, like when you start a project. Basically that is what you do. You start a project to master your life, to take your life into your hands! That’s great! Really! Much too few people do that. In our case the scope is based on life themes. Themes that cluster your life. I recommend to choose the seven themes below. If you want to start with less, choose the top 4. I chose these themes because they represent different important areas of my life. They represent areas that I want to improve. Areas for which I want to raise my standard beyond its current level. Take a blank sheet of paper. Write these seven themes down. Choose the ones you’d like to change. Every time when you want to improve or change something you need to know where you are today. You need to create a clear AS-IS picture about your current life. I took an empty sheet of paper and wrote AS-IS on top of it. Then I added the date and the theme. I wrote down everything that came to my mind. No filtering. Straight forward. Do the same. Do it now. Really. Don’t be one of the people that just read. Take a sheet of paper. If you like, download my free little “Life Goals – AS-IS – Template”. Add the date on the to right corner and start writing. Write down everything that comes to your mind for each theme. Handwritten or typed on a PC doesn’t matter. I did it by hand. Where do I stand right now? What would I do different, if I would look back in 20 years from now to my life as it is today? Rate every sentence while writing with either a “+” or a “-“. It helps you to identify the areas for improvement. It helps you to see very quickly if you are generally satisfied or not. Do it carefully. And, most important, be honest to yourself! Don’t lie to yourself. It can be hard to read what is not ok in your life. But that is why we are here. To write it down is the first step to make it visible. Things that are visible can be changed! Besides that the outcome can be very positive as well. Maybe you find out that many things are going very well in your life. It is very important to actually see that, too! Take your time. Do it per theme. If nothing comes to your mind for one theme take the next. You live your life in a certain way. Let’s say you maintain a certain standard. Following Tony Robbins, the only way to develop yourself further is to raise your standard. You raise your standard by setting it higher. You raise it when you set goals that are go (far) beyond your current standard, beyond your current capabilities. That is where the TO-BE comes into play. This is the part where you write down who you are and what you achieved once you’ve reached this new level, this new standard. I started again with an empty sheet of paper. What do I want right now? What do I want ultimately – well beyond my present ability or skill? What would I like to achieve? What would I like to experience? Where do I want to travel? What kind of person do I want to be? What kind of job would I like to have? What would you try if you were guaranteed to succeed? How much money would I like to earn? What kind of hobbies would I like to have? What do I want my body to look like? What kind of girlfriend/boyfriend/wife/husband do I want to have? With what kind of people would I like to be? Create your dream life. Create the person you want to be. Define your new standard. Take a sheet of paper or use my little free “Life Goals – TO-BE – Template”. Add the date on the to right corner and start writing. Write down facts, no wishes. Write as if you have achieved this goal already. When you read through your goals written as facts, they somehow become real. Try it. Add to every sentence a S, M or L – for short term goals, mid-term goals and long-term goals. This will help you during the reality check and action plan definition. Select your themes, define your AS-IS and define your TO-BE, your new standard. Read Part 2 of the series to get the step by step guide for the remaining parts of the process. I will tell you how I did the Why-Definition, the Reality Check and, most important, the Action Plan definition. All goals in the world count nothing without a great action plan to follow through. What are your experiences using this step by step guide? Let me know below in the comments. The one thing that counts in life. Always tell yourself that: I'm not a job seeker, I'm a job creator. Suddenly, everything changes for you.